Intervals, Endurance and 'Fartlek' turbo trainer video workouts with on screen dashboards and load files. We started producing cycling videos back in 2010 to help local cycling club members with their winter training. We spiced up spinning studios with a projector showing cycling footage for the sessions, adding variety and interest. These videos produced an atmosphere of fun riding outdoors in interesting places in addition to getting some serious training. 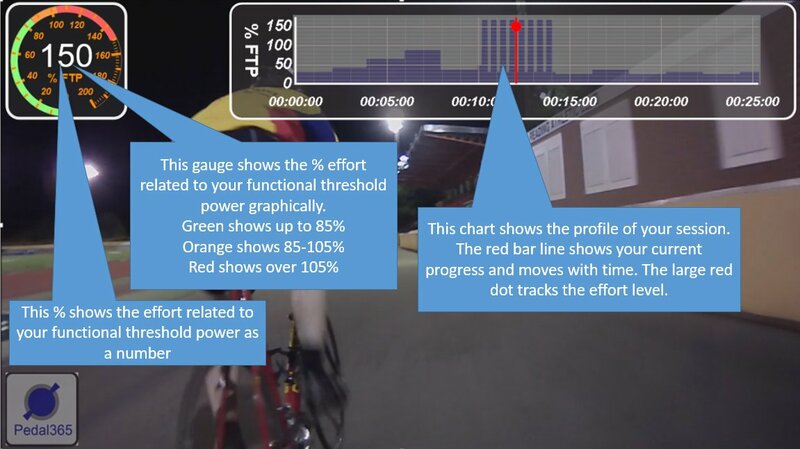 Developing this power based training using CompTrainers and PerfPro Studio software, we added simulated local races, videos to provide stimulation for threshold tests and choreographed videos to match the workouts for each session. What you see in these videos is the experience gained from working with real cyclists who love to train. Why not take a virtual trip on your turbo and get a great workout at the same time. are downloadable MP4 files about 1.5 Gb in size. or, just use the screen guide. Our latest video. No fancy equipment needed for this training session. Get out your steel frame and ride the hills. Filmed in the stunning scenery of the Derbyshire Peak District, this video will take you up eight hill climbs of various lengths on your vintage bike to toughen you up, old school style,. Filmed in the southern Sierras of Spain, this scenic ride takes you through pine forests along fire and single tracks. Interval training for endurance and strength. Filmed near Alicante in Spain, this video features the Hondon pass as used in the world famous Vuelta epic. Endurance training for hill climbs and sportives. FiImed during an open air night track session, this video features the exact protocol used in the original Tabata interval study. Increasing performance and VO2 max. On location in the beautiful Salzkammergut region of Austria. You start in the picturesque town of Fuschl before going over the pass to Tiefbrunnauand around the Hintersee before a scenic return. Test your progress by completing this 20 minute threshold test with our race video, motivating prompts and hard hitting soundtrack. Then use the included worksheet to calculate your heart rate and power zones. Video and PDF instruction sheet. Filmed on location in sunny South Africa between Cape Town and the Cape of Good Hope. This ride takes you along closed roads though stunning countryside and along the coast. This is how our on screen intensity guide works. We would love to hear your feedback or questions about using our training videos. Before you go, I would just like to recommend this moths deal. 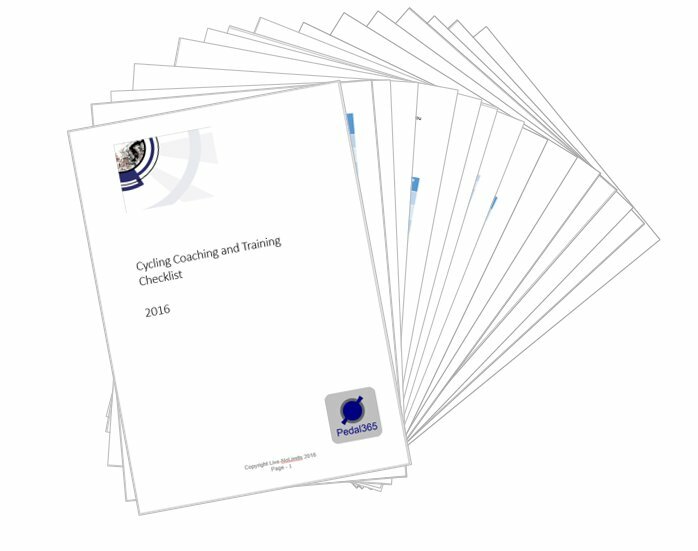 Designed by our very own Level 4 Personal Trainer and L3 Cycling coach, this pdf printable 14 page checklist will help you to prioritise and focus your training to get the results you want. VAT is included as required by the EU law for digital sales. All our videos are sold via Payhip and PayPal. Pedal365 videos are sold by Live-NoLimits which offers Personal Training, Sports Massage and Cycle Coaching.